We are an online language school with the best prices in the market. In our language school, our philosophy is that speaking is the most important part of learning a new language. With the help of the tools of grammar and vocabulary we give life to speaking. Our teachers are trained in this way, and in the lessons, you will speak as much as possible the language you are learning. Afterall, as we all know, children learn their mothertongue only with by listening to their mother and repeating. With our courses via Skype, you will take lessons with your native teacher. He will correct your grammar mistakes and write the correct version in a document that you will keep for furtther studies. With this method, you will learn faster. We know that it is not easy to find the right online language school. That is the reason why we are offering a completely free trial lesson. After that you will decide if you want to continue with us. Enjoy the advantages of private lessons. Your teacher will be able to focus entirely on your learning process, work on your weakness and encourage your strenghs. In our online language school, we offer you complete flexibility as to scheduling your classes. We will adapt entirely to your need, as we work 7 days a week, including week-ends. We give you full 60 minutes lessons. Unlike other schools, we do not take out any minute of the learning time before the lesson ends. 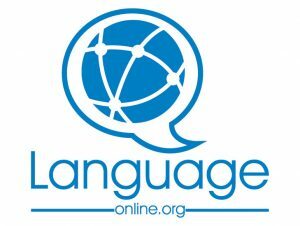 Language-online wants to give the best experience to our students. We want to give a personalized service and teach in a funny but efficient way. It is important for us that our students like and enjoy learning a new language. We envision Language-online as one of the biggest online language schools in the future, and we aim to extend our panel of terachers, languages and students to help build a international community around the love of learning, teaching, sharing and travelling. To learn the basics of a new language, which means passing the A1 level of a certificate, you will need approximately one or two months. Of course, it will depend on the time you invest and your own personal hability to learn a new language. But with this level, for example, you will be able to travel Au-pair. That entirely depends of why you want to learn a new language. If for example your goal is to be able to communicate better during your next holidays, a few private lessons would be just fine. 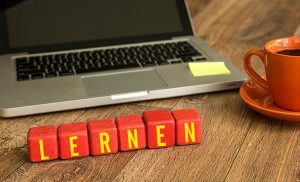 Or, we can also prepare you for a test or an examination, like the Goethe exam, the DELE or the DELF ; or train your business team to help expand your business to other countries.